A Senator from West Virginia said his state would “welcome with open arms” a massive US military drill that has southwestern states alarmed about government intentions. Texas in particular is wary of the exercise, called Jade Helm 15. Speaking to Mika Brzezinski on MSNBC’s “Morning Joe” show on Wednesday, Senator Joe Manchin (D-W.Va) said his constituents would be happy to host the military. 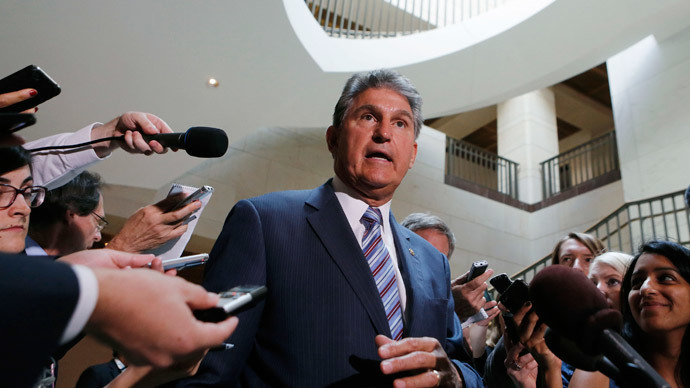 A frequent guest on the show, Manchin said he would have to ask his friend Rick Perry, former Texas governor, for “the scoop” on the exercise. Perry has criticized current Texas Governor Greg Abbott, a fellow Republican, for ordering state troopers to “monitor” the forces involved in Jade Helm. Mac Thornberry (R-Texas), chairman of the House Armed Services Committee, also dismissed fears of Jade Helm’s potential for abuse. “These are incredibly capable, patriotic Americans and the notion that they’re going to be some sort of private army for the president to take away all our guns is just silly,” Thornberry told the Dallas Morning News. “Its sole purpose is to train US Special Operations Forces in their core skill sets for future use overseas. Inaccurate and untrue information is being circulated about training exercise Jade Helm either accidently or to promote personal agendas,” Lastoria said. Due to begin July 15 and last for eight weeks, the exercise involves elite teams from four branches of the military, including SEALs and Green Berets. Up to 1,200 special operations personnel are set to be involved in what has been described as “realistic military training” in towns across Arizona, California, Colorado, New Mexico, Nevada, Texas and Utah. Military maps designating portions of those states as “hostile” and “permissive,” including an “insurgent pocket” in southern California, have alarmed residents across the seven states.